Camshaft Sprocket-to-Camshaft Bolt 40 ft. lbs. Camshaft Thrust Plate Bolts 20 ft. lbs. Cylinder Head Bolts 1977 301 cu. in. Engine 85 ft. lbs. 1977 350 cu. in. Engine 100 ft. lbs. All Others 95 ft. lbs. Exhaust Manifold Bolts 1970-76 30 ft. lbs. 1977 and Later 40 ft. lbs. Flywheel/Driveplate Bolts 95 ft. lbs. 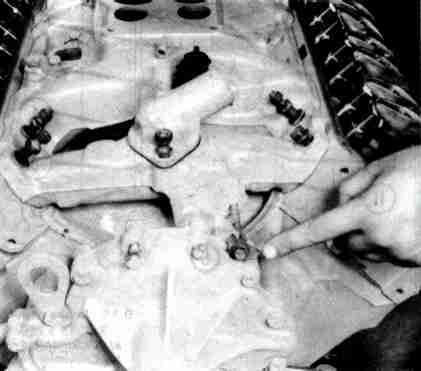 Intake Manifold Bolts 1970-76 40 ft. lbs. 1977 and Later 35 ft. lbs. Main Bearing Cap Bolts Caps #1 Through #4 301 cu. in. Engine 7/16" Bolts 70 ft. lbs. 1/2" Bolts 100 ft. lbs. All Other Engines 100 ft. lbs. 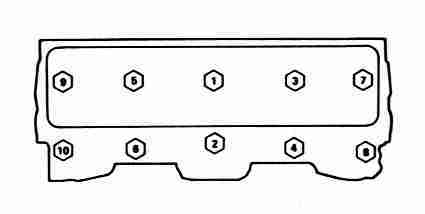 Rear Cap ( #5 ) 301 cu. in. Engine 100 ft. lbs. All Others 120 ft. lbs. Oil Pan Bolts 12 ft. lbs. Rocker Arm Cover Bolts 6 ft. lbs. Rocker Arm Nuts 20 ft. lbs. 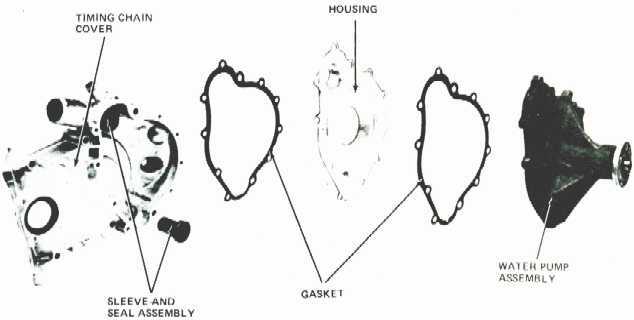 Rod Bearing Nuts 1970-76 43 ft. lbs. 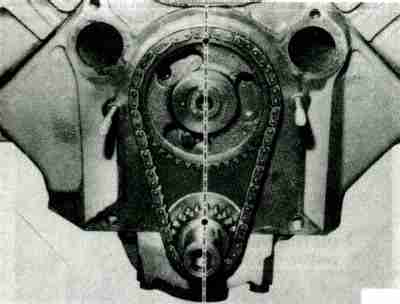 301 cu. in Only 30 ft. lbs. All Others 40 ft. lbs. Thermostat Housing-to-Intake Manifold Bolts/Stud Bolts 30 ft. lbs. 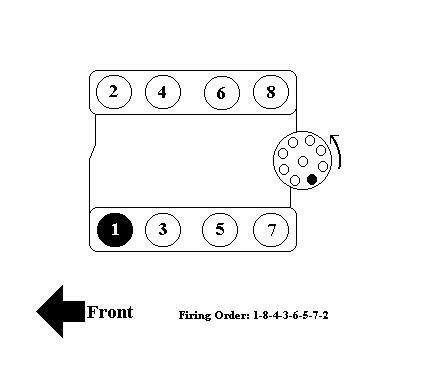 Timing Chain Cover Bolts/Nuts 30 ft. lbs. 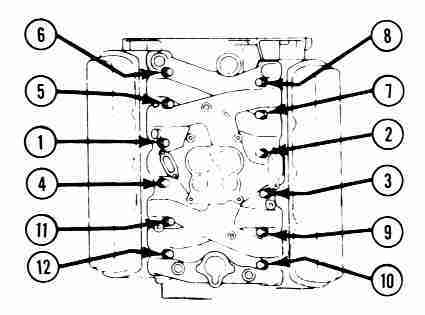 Timing Chain Cover-to-Intake Manifold Bolt 15 ft. lbs. Vibration Damper-to-Crankshaft Bolt 160 ft. lbs. Water Pump Mounting Bolts 1/4" Bolts 12 ft. lbs. 1/2" Bolts 20 ft. lbs. 3/8" Bolts 30 ft. lbs.